I continue to mispronounce names, and try my best to cover as much new ground as possible, going through Ice and Fire, before A mad sprint back to the gunship! Also, out of nowhere Just Dance Reference. Read more "Let’s Play Metroid Prime Trilogy! Metroid Prime 1, Part 4"
Read more "Slice of life: Don’t exaggerate your motion input"
As we finish off the sweep in the Chozo Ruins, we find out the hard way that the Chozo’s mentality on “Foregoing Technology” seems to be seeping into the way we record our LPs; digging its way deep into it, and hardening. Read more "Let’s Play Metroid Prime Trilogy! Metroid Prime 1, Part 3"
Pictured: The plot of Most Mario games since the NES. Inside, I was surprised, not just because the plot was summed on 4 cue cards, but the font used for these cards look like something straight out of a (Modern) Mario game, to boot! Again, this class keeps surprising me at every turn, every single chance it gets! 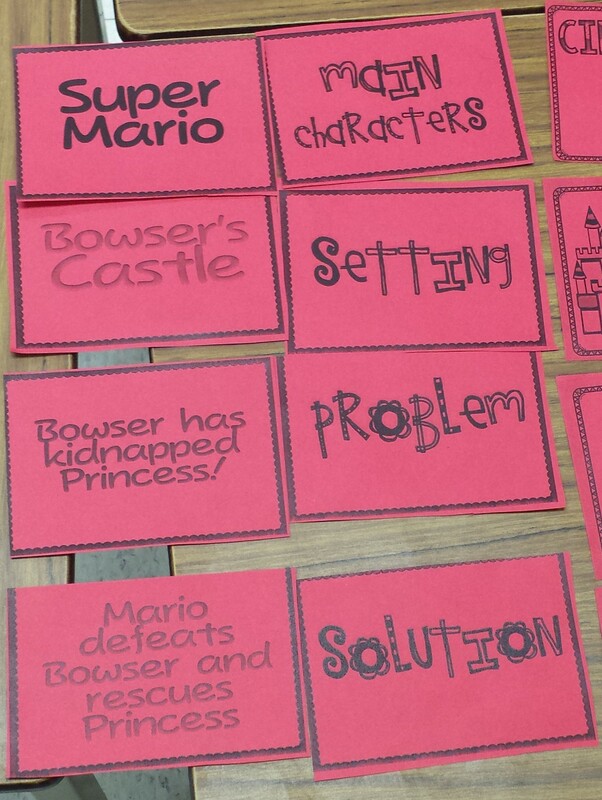 Read more "Slice of Life: Parts of a Mario Story (SPOILERS!)" It’s Time to enter the Chozo Ruins, and While the one obvious joke hovers in everyone’s mind, I try my hardest to avoid it like the plague. Read more "Let’s Play Metroid Prime Trilogy! Metroid Prime 1, Part 2"
Slice of life: Just Dance Fridays? Read more "Slice of life: Just Dance Fridays?" After putting off Mario Kart Wii for the time being, I have decided to take on one of my most ambitious and longest projects yet: The entire Metroid Prime Trilogy: Starting with Prime 1, before bumping up the difficulty with Echoes and concluding with Corruption. Let’s begin this tale of poison, darkness, and a third…thing with the first of a possibly Triple-Digit number of parts! Gino’s note: What about Prime Hunters? My response: No. I have the Trilogy on one disc, so Hunters Doesn’t count! Read more "Let’s Play Metroid Prime Trilogy! Metroid Prime 1 – Part 1"